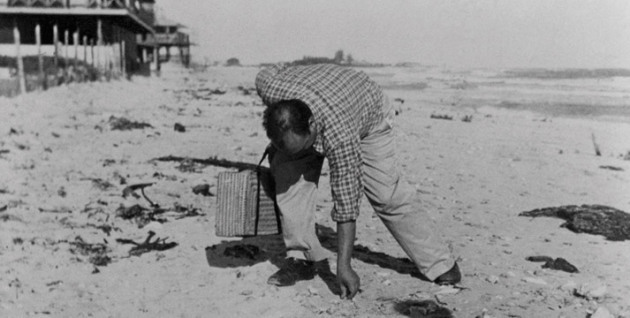 “Pablo Neruda collecting seashells in Varadero, Cuba.” Photo: Mario Carreño, 1942. For someone who could not swim, Pablo Neruda sure loved the sea. The anchors, boats and fish statues dotting the yard outside his Isla Negra home-turned-museum made that obvious to me even before I reached the front door. The interior decoration, however, took the obsession up a notch: The Chilean poet and diplomat had decked out his seaside abode with creaky floorboards, low ceilings and long hallways meant to resemble a ship. Even now, Neruda and his third wife Matilde Urrutia are buried on a bluff above the beach overlooking the Atlantic. 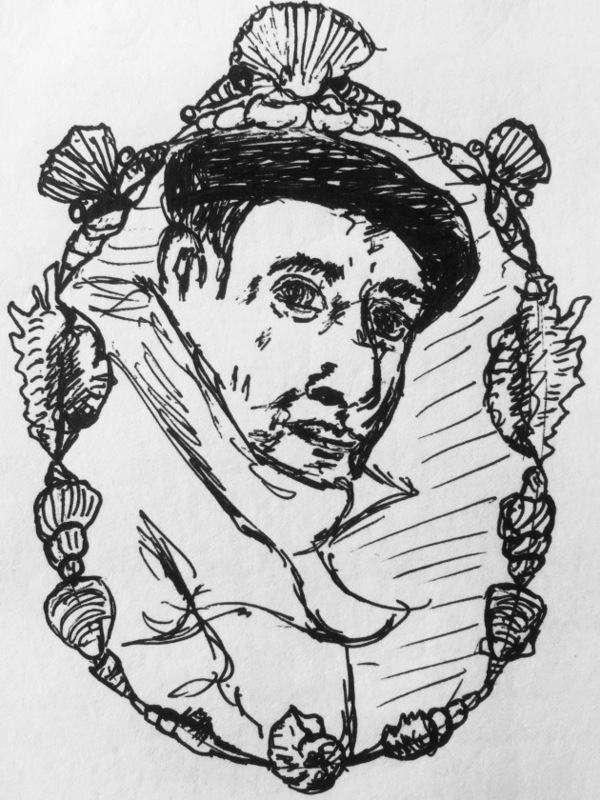 “Portrait of Pablo Neruda.” Illustration: Martha Aguirre, 2015. Though Neruda’s fondness for all things aquatic may seem like just the trivial quirk of a creative mind, the final exhibit of the Isla Negra museum suggests that there may be more to the story. An all-white room with only one display case, the exhibit features what looks like the masterpieces of an ancient potter. A single quotation from Neruda’s memoir, I Confess I Have Lived, explains to visitors why the tour concludes with these dignified objects. It reads, “En realidad lo mejor que coleccioné en mi vida fueron mis caracoles.” In reality the best that I collected in my life were my seashells. I blink at the words engraved on the wall. Seriously? Seashells? Sure, scallops are pretty, but considering Neruda had many other passions — literature, travel, communism — and notable achievements (the International Peace Prize being chief among them), why would his collection of seashells top the list? Pressing my nose up against the glass and squinting to see each shape in all its sophistication, I began to understand: Each seashell is like an emblem of one of Neruda’s works. I recognized Twenty Love Poems and a Song of Despair (a bouquet of tulip-shaped shells), Residence on Earth (a narwhal-shaped shell, at once surreal and sharply political) and the epic General Song (a giant conch). His entire bibliography stood behind that glass. 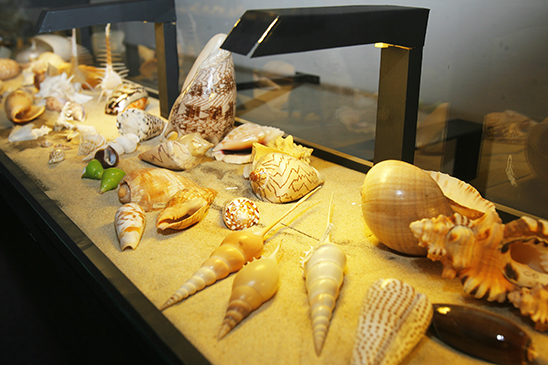 “Seashell exhibit at Isla Negra”. Photo: Fundación Pablo Neruda, 2015. Each minute I lingered in that all-white room, I drew another connection between seashells and poems. Seashells are the creations of seemingly pathetic, forgettable creatures (a.k.a. sea snails and clams) who somehow craft impossibly perfect artifacts that serve as a testament of their short time on this earth. Lacking those beautiful, durable exoskeletons, humans write poems to attain immortality by proxy, setting pen to paper because our lives fade sooner than the ink. Plus, seashells arise from the genetic material of individual mollusks, but each intricate pattern is also forged under the weight of an entire ocean, blasted by sand and salt invisible to its fleshy creator. Likewise, every poem has an author, but it is also written by the conventions of genre, influenced by the joys and injustices of contemporary society. Lastly, seashells are built to suit the maker’s own vulnerable body, but crabs and other sea critters seek refuge inside abandoned shells that happen to fit just right, finding armor in others’ handiwork. Similarly, readers discover that particular poems resonate with them, and they memorize the words to keep that message close to their heart, like a beachgoer fashioning a necklace out of a special seashell. “The Isla Negra house.” Photo: © Sergio Larrain/Magnum Photos, 1957. As the next batch of tourists filed into the exhibit, I sensed that I had outstayed my welcome and perhaps overextended my metaphor. Eyeing the exit, I weaved my way through the Neruda pilgrims and stepped out of the Isla Negra house. A few feet from the door sat his grave. It is home to nothing but two lovers, a few flowers and a black stone — not even an epigraph. A sparsely decorated resting place for such a decorated poet. I bowed and cocked my head at the same time. 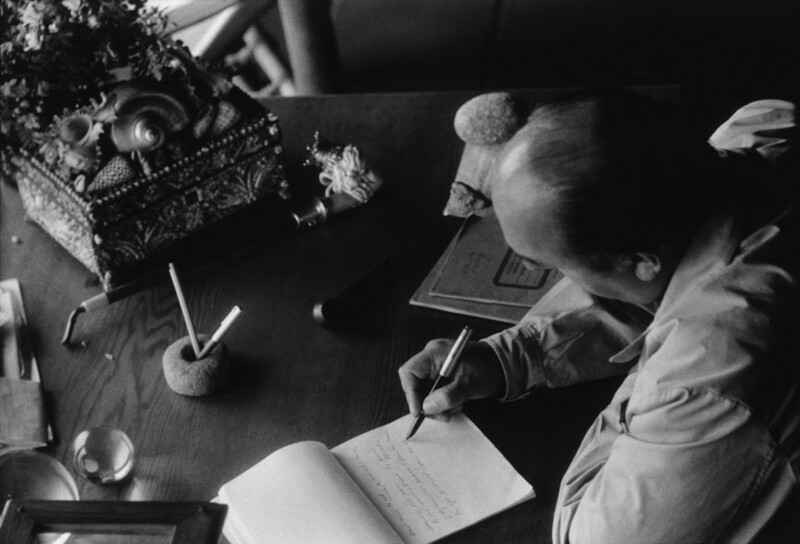 Did Neruda see his poetry as the exoskeleton that would outlast his own skin? The byproduct of a grounded soul pushing up against the weight of the world? The shell that others would make their personal amulet? Or did he just think seashells looked nice? I wandered down to the beach and held a conch to my ear. It gathered a shoreline full of noise — the crashing of waves and the squawking of seagulls — and packed it all into one tight, flawless form that roared with the force of a thousand oceans despite being held by only three fingers. If you pick up a Pablo Neruda poem, I think you’ll know what I mean.